Gross violations of intellectual property rights (IPR) are commonplace and the market is chock-full of counterfeit and fake versions of leading brands, who choose to keep violations out of the limelight and out of fear of negative publicity. Counterfeit and pirated goods have become a serious global problem. A report 2017 of the International Chamber of Commerce, a world business organisation helping businesses in all countries to operate both internationally and responsibly, estimated that the costs of the wider social and economic impacts on displaced economic activity, investment, public fiscal losses, and criminal enforcement, could reach an estimated $1.9 trillion by 2022. Taken together, the negative impacts of counterfeiting and piracy are projected to drain $4.2 trillion from the global economy and put 5.4 million legitimate jobs at risk by 2022. The United States Chamber of Commerce Global Intellectual Property Centre’s (GIPC) report showed that some 86 per cent of all physical counterfeiting comes from China and Hong Kong. 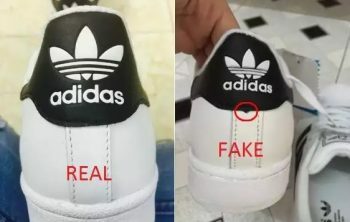 Companies manufacturing there usually meet counterfeit versions of their products on the market, and only a small fraction of fake goods are seized before reaching the global trade stream. The suffusion of counterfeit and pirated goods not only has a marked impact on businesses’ prestige but also causes massive damage to manufacturers because fake goods are designed with increasing sophistication while selling far cheaper. By simply searching for a certain brand name on Google or online shopping sites, customers will be dazzled by the thousands of products labelled like authentic products but cost only half or even one-tenth. For example, a pair of “so-called’’ Adidas shoes are sold for between VND90,000 ($3.9) and VND900,000 ($39.1) per pair on Shopee.vn, while they veritably cost VND1-2.5 million ($43.5-108.7) on Adidas’ website. Besides, a bag with the Chanel logo costs VND366,000 ($14.6) – while the authentic article goes for VND100 million ($4,347). Le Minh Chuyen, sales and marketing manager of HGK Spark Plugs (Vietnam) Co., Ltd., a Japanese part supplier for motorbike manufacturers, told VIR that the company found that 20.5 per cent of products circulating on the market with the HGK logo are fake. The company cannot effectively prevent these violations because the scams are becoming more and more sophisticated, even including the labels and stamps of authenticity used by HGK. Currently, the market is truly awash with counterfeit versions of world-leading electronics brands like Panasonic. At the November 14 workshop on spotting counterfeit goods held by the Japanese Ministry of Economy, Trade and Industry, the Japan External Trade Organization, and the Vietnam Directorate of Market Surveillance, Panasonic Vietnam displayed numerous counterfeit products, including electric kettles, hair dryers, batteries, and irons, among others. This is aimed to prove that to the naked eye there is scant difference between original and fake – apart from the price tag: Panasonic hair dryers on Shopee.vn go from VND68,000 ($2.96), while on the Panasonic website the cheapest hair dryers cost VND239,000 ($10.39). Counterfeit production does not stop at relatively simple electronics. There are even fake versions of Panasonic’s famous air-conditioners in circulation, hinting at the technical expertise of illegal producers. According to Mr. Nguyen Vu Quan, the IP attorney of Vision & Associates Co., Ltd., more and more foreign enterprises in Vietnam have to enlist law firms to address IPR infringements. The large majority of IPR holders in Vietnam opt for out-of-court arrangements rather than seeking administrative enforcement, thus only a handful of IPR cases reach Vietnamese courts. According to the National Office of Intellectual Property of Vietnam, in the 2006-2016 period, local courts received 168 cases for settlement under first-instance procedure, 158 of which related to copyright and 10 to IPR. The courts also settled 200 disputes over business activities concerning IPR. Thus, during these 10 years, Vietnamese courts received 14 cases and settled about 16 cases a year. These numbers are very small compared to the thousands of IPR infringement cases handled by authorised agencies, said Mr. Nguyen Vu Quan. According to him, IPR holders do not struggle against intellectual property infringement or issue guidance to help customers distinguish original products as they are afraid that it would help counterfeit producers to improve. Besides, they are reluctant to take incidents to court because many court cases could undermine customer confidence in their products by pointing out that logos and stamps of authenticity are no longer guarantee. In addition, a number of companies cannot or choose not to shoulder the various costs of anti-counterfeit action, such as enlisting the services of a legal firm and funding an anti-counterfeit department. Thus, several companies conduct trademark protection activities away from the public eye – either to save costs or because the damage by public and official action would outweigh its benefits. Such concerns can affect even the largest of corporations, like Panasonic which has been keen to display counterfeit products to draw attention to the issue at the Japanese workshop.